Imagine this – it’s a lovely warm day in the summer and you’re sitting by an outdoor pool sipping on a nice cool drink, surrounded by a lovely forest. 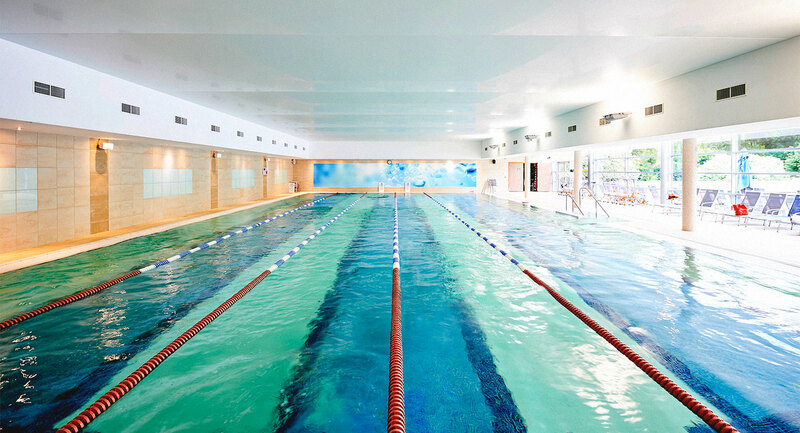 We’re not dreaming of a holiday, we’re talking about David Lloyd Brussels’ outdoor pool! Not only is our stunning 20m heated pool open all year round, but the setting is the perfect spot to get in some exercise and relax. Come to the club and see it for yourself. David Lloyd Brussels members love making a splash in our indoor and outdoor pools, not to mention our fabulous spa facilities. A 25m indoor pool, 20m outdoor pool, as well as pools for the kids inside and outdoors are just the start of the brilliant facilities on offer. We’ve also got a whirlpool, steam room, and two saunas for you to relax in after your workout. You can see out to the pool from our DLicious cafebar too, which is ideal if your little ones are having a lesson and you want to watch.